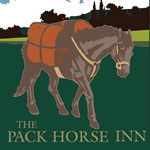 We can hold functions here at the Pack Horse Inn no matter what the special occasion is. For smaller parties we have the conservatory which will hold up to 25 – 30 for sit down meals or buffet. For larger events we have the restaurant, holding 65 for a sit down meal or 100 for a buffet. To discuss your requirements please contact us on 0161 764 3620 or email us. We can host your wedding, for up to 25 guests in our conservatory, with custom menus available, and special touches including personalised place-mats and menus. We can also host private events such as birthdays, anniversaries, and funerals in here with buffet or sit down meal options available.